Mead Tasting, Hard Cider Too! Sample our mead, hard cider, or cyser either by the glass or a flight! If you've never tried mead you really need to stop by our Traverse City tap room and see what the Buzz is all about! Hand-crafted from honey, fruit, herbs and spices, Acoustic Meads are Michigan's original session mead they are lightly carbonated with tiny bubbles and drink more like ale. Be sure to try our seasonal offering as well as year-round tried and true meads and ciders. Try any of our dozen different beverages, we've got something for everyone - including you! We have bottles, howlers, and growlers that you can take home and share with friends and family too. Acoustic is a unique haven for refreshing beverages, art, original music and conversations! We're in a cozy little spot on the west-end of Downtown Traverse City, where it's a little slower, much mellower, and the buzzz is just right. 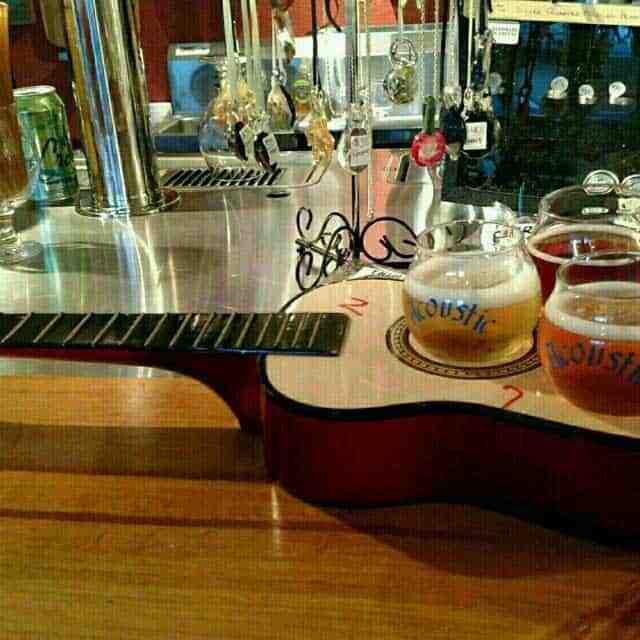 Acoustic Tap Room serves locally crafted mead, hard cider, cysers, and munchies in a laid back tasting room that encourages music, arts, interaction, and more. 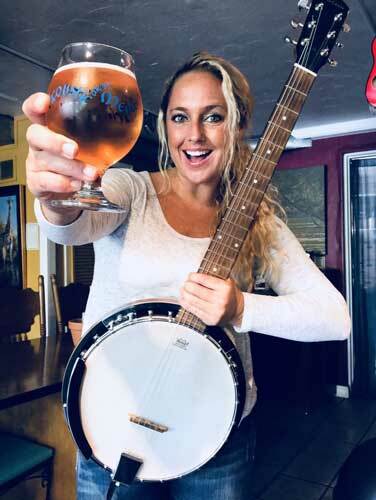 See Whats Goin' Down at the Tap Room! 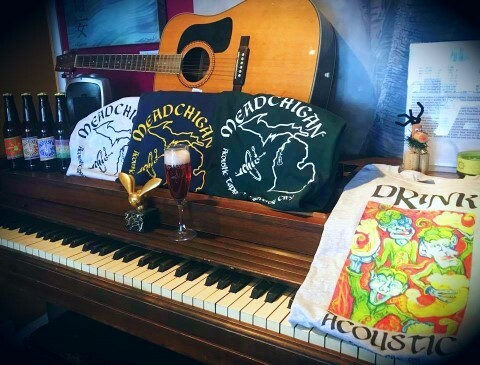 We feature local and regional artists from around Northern Michigan. Check out our Events Calendar for the low down. Most evenings it's acoustical music but we have a few tricks up our sleeves from time to time. 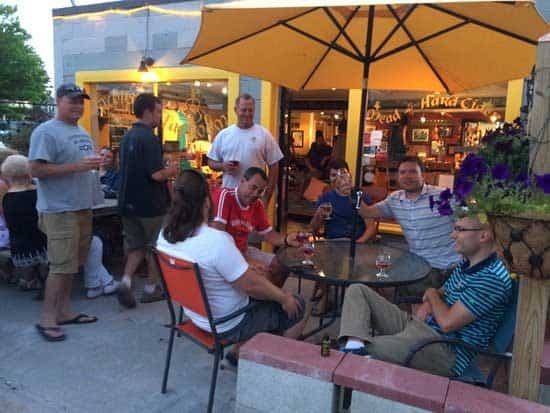 In the summer, our patio is the place to be! Enjoy the sun during the day and chill out in the evening. 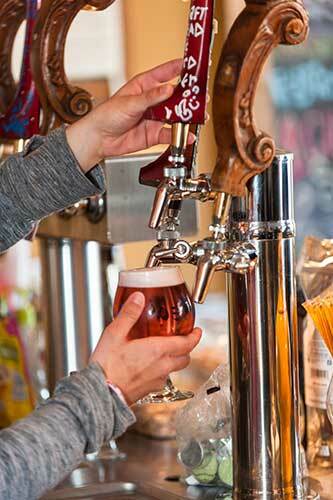 Either way you'll enjoy the mellower side of Traverse City. Acoustic Tap Room is the perfect hangout to enjoy a glass of mead and hangout with friends. Stop by soon! Always something buzzn on the patio! New Jackets, T-shirts, Hats, and Hoodies now in stock! Float Guinness Draft Stout, or your favorite, on top of Cherry Bzzz for an explosive delight. Drop a shot of Jack Daniels, or your favorite whiskey, into a glass of Autumn Apple Bzzz and put a whole new twist on “Apple Jack”. ½ Champagne & ½ Acoustic Bzzz Draft Mead. It’s the Bee’s Knees!